UPDATE: 4/15/2016 – 12:15pm…congrats to VICKI SEWELL…you’re the winner of the suite! CALLING ALL CARDINALS’ (and Cubs) FANS! 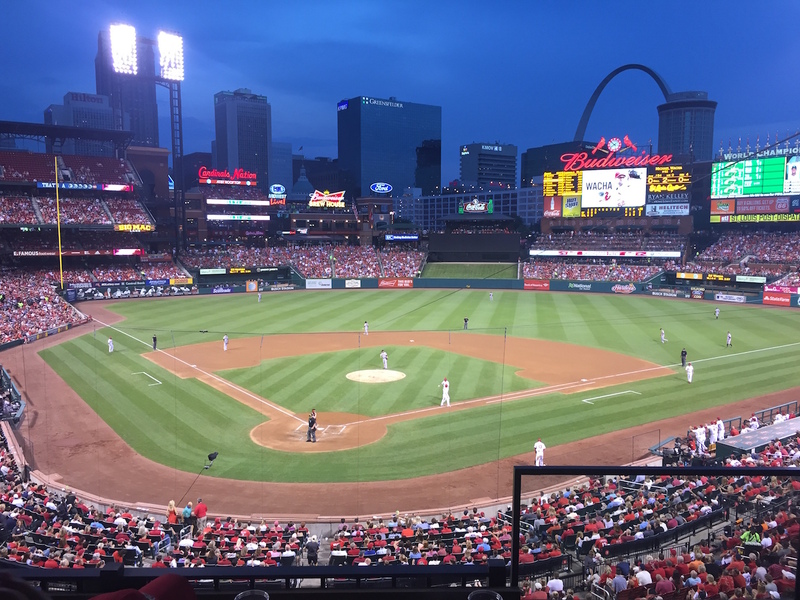 Enter to WIN a SUITE to the Cards VS Cubs game on Monday, April 18, 2016. Game time: 7:15PM. The suite is located behind home plate (see photo below). ONLY $50 per raffle ticket (only 100 tickets will be sold so the odds of winning are pretty amazing!!!) ALL proceeds benefit Angels’ Arms. Winner will be selected Friday, April 15, 2016 at 12PM CST and will be announced LIVE via Facebook. Prize includes 18 tickets to a suite complete with beer (2 per person), nachos and hot dogs. Check out the AMAZING view from the suite!